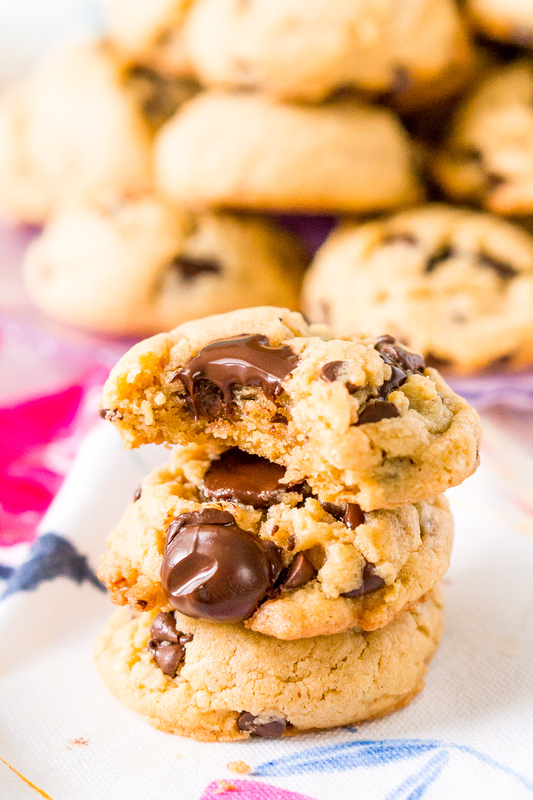 These cookies look absolutely divine!! Thanks for pinning! I hope you get a chance to make them soon! They’re so good! Yum! 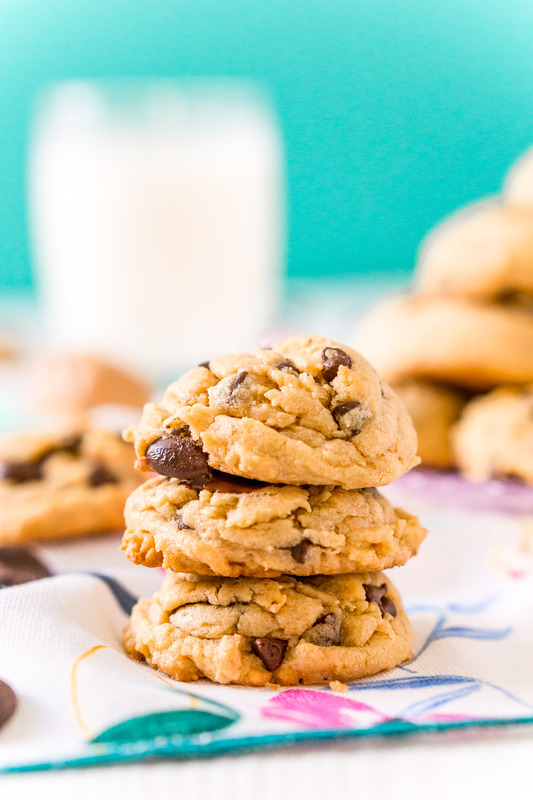 Loving these plump peanut butter cookies! Peanut butter makes everything better! 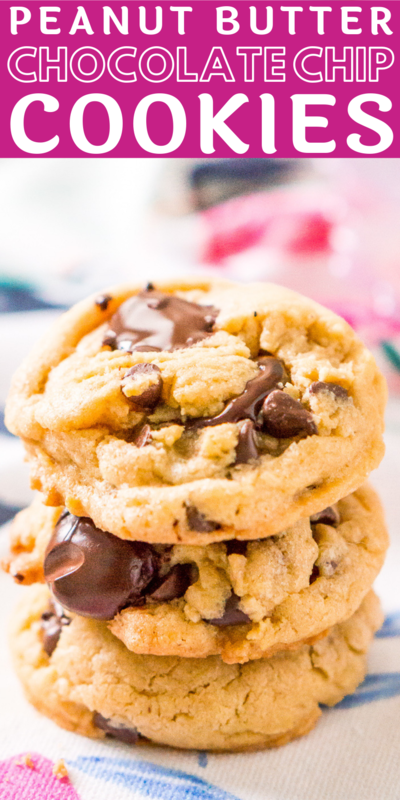 But there’s nothing wrong with a good old fashion chocolate chip pudding cookie either! Thanks so much for stopping by! These look way way better than any store bought version!! 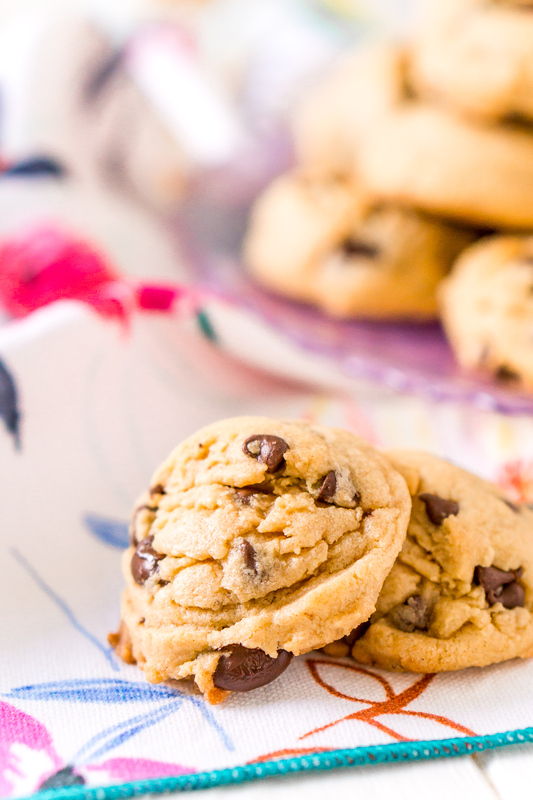 Oh, these are definitely better than store bought! Sooooo good! 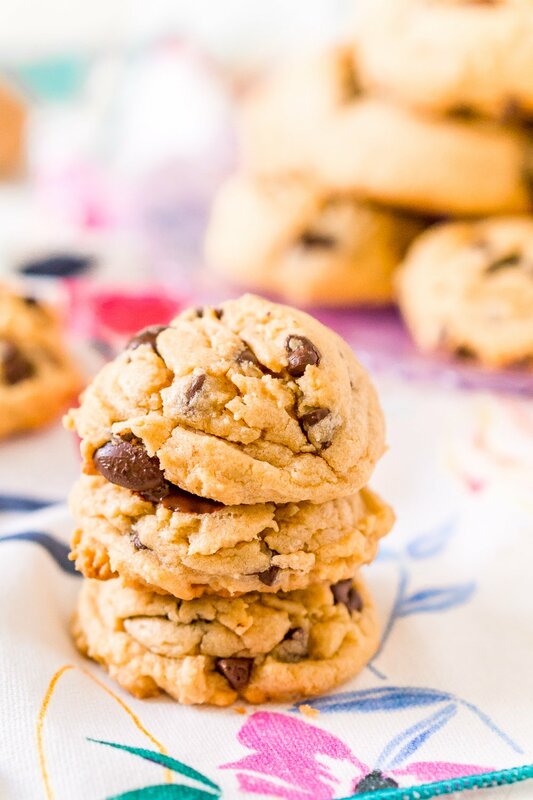 Oh wow – I’m not sure you can ever go wrong with peanut butter cookies, but these look incredible! Kind of hungry now just looking at the photos. My family would LOVE these! I’ll have to make them very soon! Be still my heart. Chocolate and peanut butter, Yum! These sound and look amazing! Out of curiosity, what does the pudding do for the cookies? 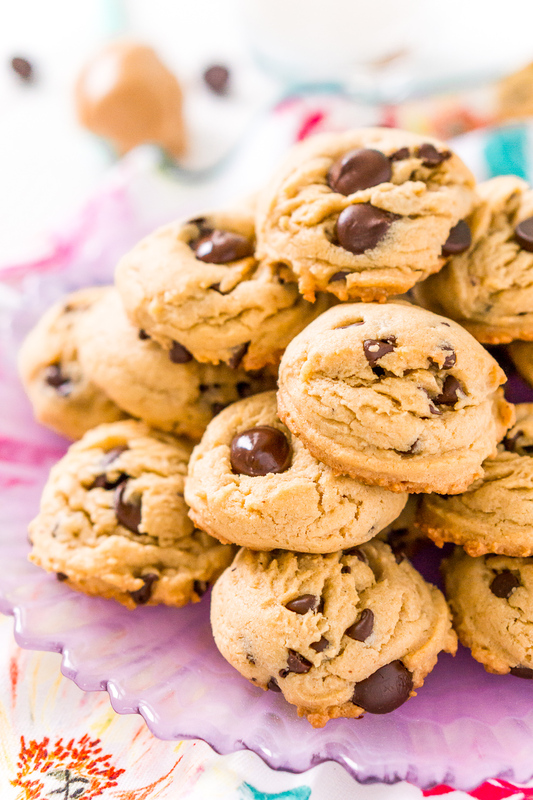 Your cookies look and sound great! 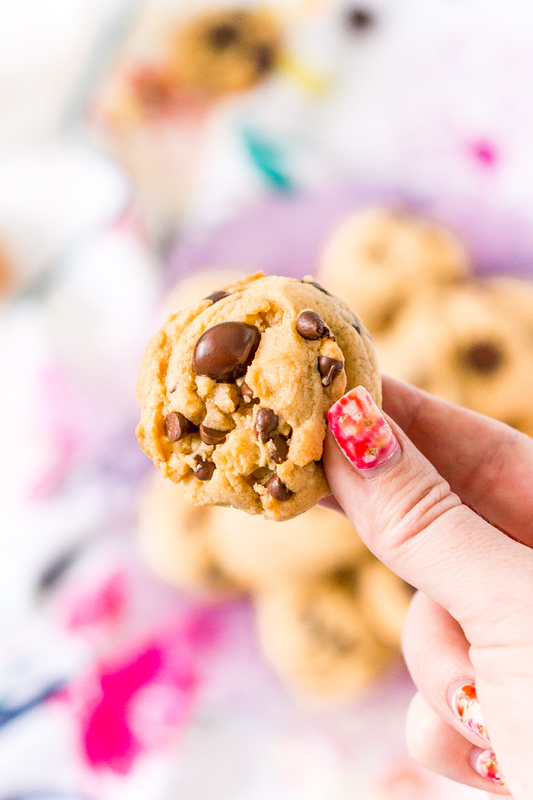 I love a good p-nut butter chocolate chip cookie! Yum. These look like they are the perfect consistency!! Haha… they were so good! I’m thinking I’ll be making another batch this weekend! I’ve seen those DelightFulls chips, but haven’t tried them yet. 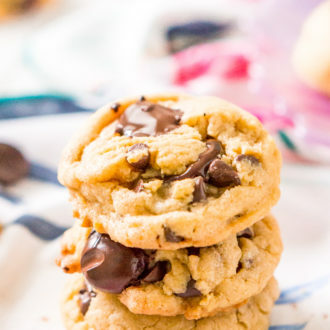 I’ll have to- these cookies look a-mazing! I love all things peanut butter! If you add chocolate then it is even better! Pinned these! I’m so glad everyone loved them, they’re a favorite in our house too!